The tractor is ready to go as this farmer, his wife; a scarecrow and a small black crow get ready for a day on the farm. 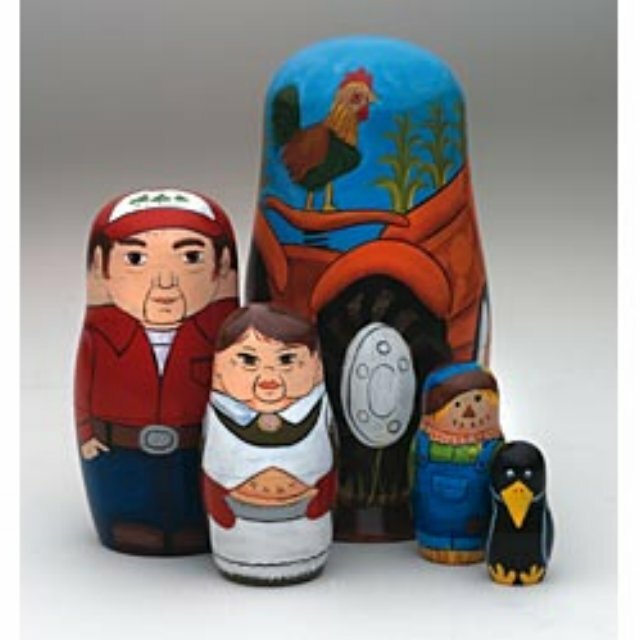 An adorable hand-painted set for any nesting doll collector. Largest of 5 dolls measures 5” tall.